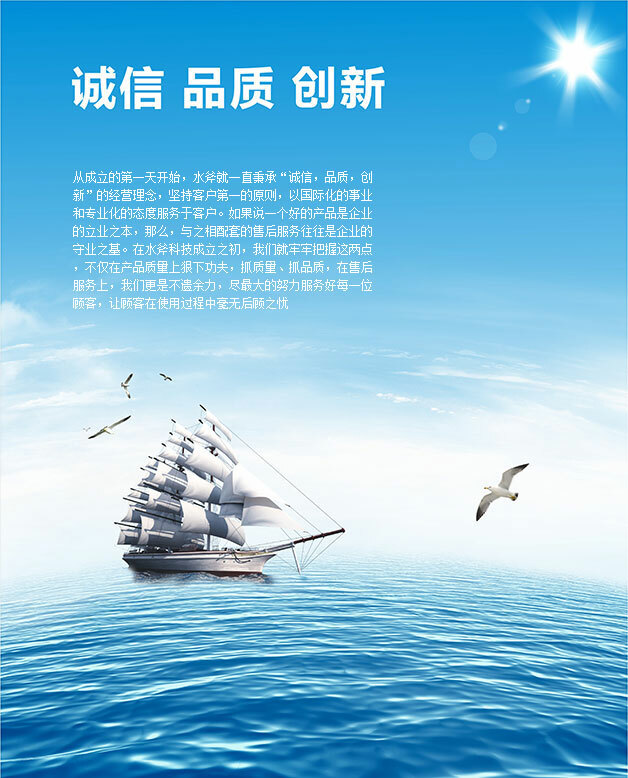 From the first day of the establishment, the SHUIFU has been adhering to the "integrity, quality, innovation" business philosophy, adhere to the principle of customer first, to the internationalization of the cause and professional attitude services to customers. If a good product is the founding of the enterprise, then, with the matching of after-sales service is often the base of the enterprise's business. In the beginning of the establishment of SHUIFU technology, we firmly grasp these two points, not only in product quality and make great efforts to grasp the quality, grasping quality, after-sales service, we spare no effort to make every effort to serve every good Customers, so that customers in the use of the process without any worries.